The University Grants Commission (UGC) National Eligibility Test (NET) is conducted to determine the eligibility of post-graduate candidates for the post of Assistant Professor and the award of Junior Research Fellowship (JRF). 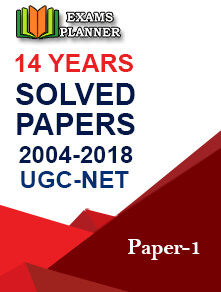 The article will cover the latest UGC NET syllabus for the 2019 exam. As per the official UGC exam website – ugcnetonline.in – the next UGC NET exam will be tentatively held in June 2019. 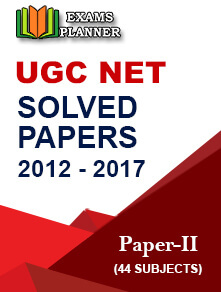 Students can download the complete UGC NET Syllabus in PDF format for each subject as per the latest standards for their upcoming NET exam preparation. A new subject ‘Sindhi’, which has been added to the list of UGC NET subjects from the 2018 December session exam. The syllabus for the new subject is also available here. Students have to opt only for one subject (generally the subject of post-graduation) for appearing in the NET exam. The exam pattern of the UGC NET exam has changed from the July 2018 session. The significant change includes the elimination of Paper III. Now, the exam will have only two papers – Paper I and Paper II. However, there is no change in the syllabus of the examination. NTA has conducted the first UGC NET exam in December 2018. NTA will not provide the UGC NET syllabus to individual candidates. So, all the candidates have to download the syllabus from the official website. Please note that the syllabus provided here is as per the latest updated information at UGC’s official page for syllabus. As per the official syllabus page, the syllabus will be applicable from the 2019 examination. Important Note – Syllabus in English and Hindi language are available in the same file. Adult Education/ Continuing Education/ Andragogy/ Non Formal Education. *Candidates with Master’s degree in Geography (specialization in Population Studies) or Mathematics/ Statistics are also eligible to appear for the NET exam in ‘Population Studies’ subject. **Candidates with Master’s degree in Humanities (including languages) and Social Sciences are eligible to appear for the NET exam in ‘Women Studies’ subject. Analyse the syllabus carefully and stick strictly to the topics mentioned therein. Don’t burden yourself by studying the irrelevant topics; the syllabus of UGC NET Exam is already very vast. All the best for your UGC NET 2019 Exam! i have done my M.Com in Business management can i apply for Subject Code 17? Yes, you can if you have studied these subjects. You can also consider the commerce subject (code 08). I complete Fashion Designing in Ranchi Womens College in ranchi(JHARKHAND). 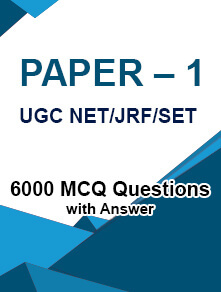 can i give the UCG NET exam. If you want to go into teaching, you can do it after a Master degree in your field. And, if you want to appear for UGC NET only, you can do it after completing PG degree. Select a subject related to your stream. Pls send me the mathematical science updated syllabus? Hello, The syllabus mentioned above are all updated as per official UGC net release. Where is the mathematical science syllabus? If your university is recognised by the UGC, you are eligible for the exam. The validity of NET score is for how many years.? Like GPAT has three years validity. UGC NET e-certificate for JRF is valid for 3 years. For lectureship, there is no validity of the e-certificate. I am doing MA in hindi literature . Can i give net exam in performing arts? Please tell me. As of now the syllabus for UGC NET Exam is unchanged. If any further announcement is made by NTA, we will notify you. As of now there is no changes announced by NTA. If there are any changes we will be updating you soon.